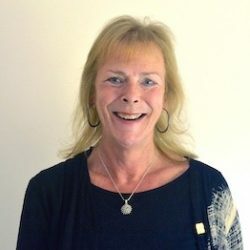 Carol trained as a secondary teacher specialising in History and PSHE and taught these subjects for many years. She worked in a nursery school and as a parent helper in a first school whilst on a career break when her own children were young. Carol then joined a middle school and became the PSHE and Citizenship co-ordinator for KS2 and 3. During this time, Carol led the Healthy Schools and Healthy Schools Plus programme. She co-ordinated the Rights Respecting Schools programme, helping her school to achieve level 2, alongside supporting other local schools. Plumly (dog), Turtle and Prism (cats), Cee, Saw and Miss Majory Dore (rabbits), Badger Boy and Master Sprout (guinea pigs). Carol says they make any visit to the vet amusing!